Now that Darvish picked another club, Minnesota’s front office is going to have to act fast. There will likely be a domino effect with the first big name comimg off the board. 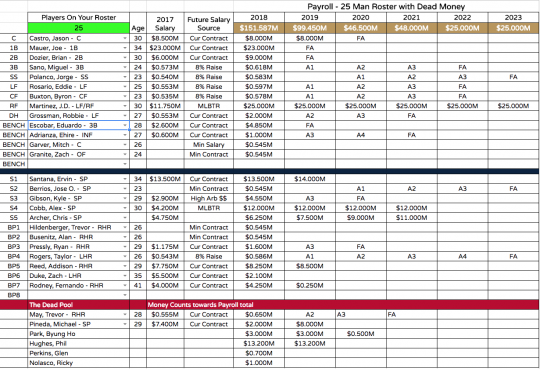 That being said, there are a couple of different paths the Twins could take to solidify their rotation. There are at 105m payroll already. I think that probably takes Arrieta, Lynn and Cobb out. They might be able to push to 115 or even 120 (but they'll sell off really quick if they aren't in it to save the Pohlads some money). I think realistically we're going to get someone like Jaime Garcia or maybe a trade for Odorizzi. This really shouldn't be surprising. Pohlads took Falvey from Cleveland and they built their teams through FA and drafts. We aren't going to be a big payroll team. Levine and Falvey are going to be following the Ryan model and we just hope that they do it even better. On the other hand, Kepler is part of the chemistry of this team, and he could make a jump in how he hits lefties this year. 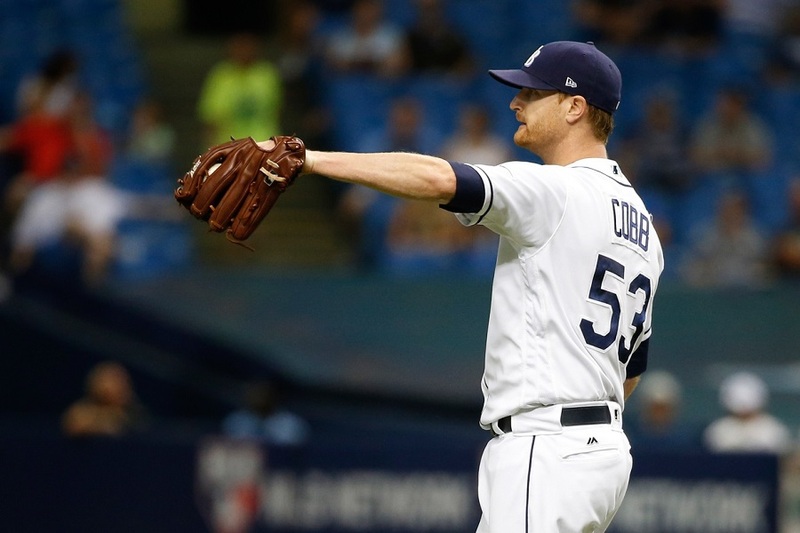 As for Cobb, I just see him as the next best FA to Darvish. Lynn would not be a fit here except maybe a short 1-2 year deal and Arrieta is toast. Cobb is not a difference maker, no, but he would be 1 of our top 3 starters. Since Ryan obviously perfected his own model are we to assume the absolute pinnacle of this model is winning a weak division only and quickly bowing out of the playoffs? Bartolo would be a top three starter on this roster. That is probably true, as a matter of fact. And Bartolo Colon signed a minor league deal for 2018. I am somewhat sympathetic to this opinion, but maybe not as harsh on Falvine. They will next likely read from their 3x5 card. The one that says how JP will let them spend anything they wish to improve the club. This is a Pohlad enterprise. There ain't gonna be no cash folks. That said I would take a run at Archer. While I was always and am a Kepler fan, none of the position players are worth anything in reality without pitching. I would rather miss Kepler than see a whole roster wasted trying to out slug the entire league.